Green and bio polyols are polyols that are either synthesized from natural oils such as soya, castor, palm, canola, euphorbia, sunflower, and so on, or natural sources such as corn, sugar, or recycled polyurethanes, and PET. The Global Green and Bio Polyols Market were valued at $2.63 Billion in 2015 and are projected to reach $4.71 Billion by 2021, at a CAGR of 9.5% from 2016 to 2021. 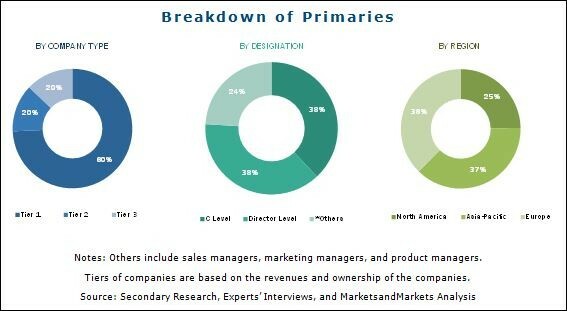 [153 Pages Report] Browse 98 market data Tables and 52 Figures spread through 153 Pages and in-depth TOC on "Green and Bio Polyols Market"
On the basis of type, the global green and bio polyols market is segmented into polyester polyols and polyether polyols. Both these polyols are used to manufacture green polyurethane foams, coatings, adhesives, sealants, and elastomers. Green and bio polyols are further classified into three categories on the basis of applications, which are polyurethane rigid foams, Coatings, Adhesives, Sealants and Elastomers (CASE), and polyurethane flexible foams. Polyurethane Rigid Foams are commonly used in the construction industry for insulation applications. They also find applications in refrigeration, and packaging. Polyurethane Flexible Foams are generally used for cushioning applications in furniture, automotive, carpet backing, and sound insulation, and so on. Coatings, Adhesives, Sealants and Elastomers, together known as CASE, are used for automotive, packaging, transportation, and construction applications. The global green and bio polyols market in this report has broadly been segmented on the basis of end-use industries such as furniture and bedding, construction/insulation, automotive, packaging and carpet backing. Furniture and bedding is the largest end-use industry of green and bio polyols. Increase in the purchasing power of consumers and the preference for superior quality interiors is leading to the growing demand in the furniture and bedding industry. The North American region is projected to be the fastest-growing, during the forecast period. The Canadian market is projected to be the fastest-growing in the North American green and bio polyols market, in terms of value. However, in terms of volume, the U.S. is the fastest-growing market. The growth of the market in Canada can be attributed to the price rise of canola oil which is the major raw material used for the manufacture of green and bio polyols by Canadian manufacturers, as compared to soybean oil which is majorly consumed in the U.S.